No matter what kind of foodservice operation you run, from a corporate cafeteria to a high-end restaurant, the goal is to always operate at peak performance and create memorable guest experiences that will inspire customers to return. Doing so means having just the right supplies for both the Back of House (BoH) and Front of House (FoH). With so many moving parts to any foodservice operation, though, knowing what supplies to purchase to elevate it to the next level can be a challenge. There are so many types of supplies to choose from that no singular guide could ever cover every option, but no matter what your eatery’s style, cuisine, or location, there will always be a basic, foundational set of supplies required to build the perfect foodservice operation. The following outline will help identify some of the most important supplies your commercial kitchen and restaurant simply cannot do without. When it comes to commercial foodservice, the supplies your patrons see get a lot of attention. Impressing your guests with the perfect dinnerware, flatware, drinkware and other pieces, which we will get to later, should always be a priority, but the quality of a plate will be forgotten if the food is ill-prepared. That’s why the supplies in the BoH is just as important as what’s out front. Once your raw ingredients have entered the kitchen, they must be stored properly to maintain organization and safety. Equipment such as refrigerators and freezers are key components of effective storage, but there are also a number of key supplies your kitchen should have to keep your ingredients fresh and in order. Storage containers are perfect for maintaining storage efficiency, especially if you buy your raw ingredients in bulk. Storage containers are usually much easier to arrange and stack than original packaging. Additionally, you can move your ingredients into small containers as you go through your supplies, to save even more space. 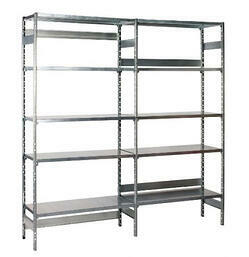 Including ample shelving and racks helps you to make the most of your available space by facilitating vertical storage. Most shelving units are customizable, so you can arrange them for optimal utilization and exactly what you’re trying to store, so no square inch goes wasted. When the time comes to bring your ingredients out of storage, you’ll need the right supplies to prepare them into a finished dish. The classic chef’s knife is a staple in any commercial kitchen. Other common blades to prioritize include meat carving knives, boning knives, bread knives and butcher knives. Be sure to explore specialty varieties that may also be necessary depending on your menu, though, and remember to replace cutlery when it becomes dull so that your kitchen staff makes the perfect cut the first time, every time. As with cutlery, the kinds of cookware and bakeware you’ll need for your commercial kitchen will depend heavily on the particular cuisine you’ll be serving. Most operations, however, should start with frying pans, saucepans, stockpots, roasting pans, and baking sheets and dishes of various sizes. Don’t forget all the other small tools that make your dishes possible. A list of these could stretch on forever, but make sure you have plenty of the basics: mixing bowls and spoons, measuring cups and spoons, whisks, and spatulas. Much of the supplies related to serving guests will include dinnerware, flatware and drinkware, which we will return to later in the Front of House section. Other necessary supplies will include utensils, such as ladles, serving spoons, tongs and scoops. Depending on your operation, you may also need additional supplies such as chafers and steam table pans. Major equipment such as warewashers and compartment sinks are crucial components of the cleaning process. Smaller supplies are just as necessary to keeping your commercial kitchen sanitary, however. Once your wares have returned from the FoH or have been used during food prep, many will need to be washed by hand in a sink. For that, you’ll need scrapers and brushes. Remember, one size does not fit all when it comes to washing. Different supplies will require various shapes and strengths in order to remove food residue effectively without damaging your supplies. Your freshly washed supplies will require an organized and clean place to dry before they are returned to their proper shelves or storage. Drying racks are space-efficient, help excess water drain safety, and are often made of bacteria-resistant materials to help keep your supplies sanitized after they leave the sink. Dishwashing can get messy. Floor mats will help contain and drain spills, fallen food waste, and other messes so that you can keep your kitchen floors clean and prevent dangerous slips and falls. Not to mention that many floor mats are anti-fatigue to help your kitchen staff remain comfortable and productive during long periods of standing. In choosing the front-of-house supplies for your foodservice operation, some might make the mistake of believing that finding the best option means simply buying the most luxurious brand or style of supplies, regardless of the kind of operation you’re running. That’s not actually the case. There’s nothing wrong with simple supplies, even those made of plastic, as long as it’s appropriate for your operations. Grabbing a quick bite to eat at a casual eatery and finding fine, ornate china and silverware would be just as confusing for guests as sitting down at a high-end restaurant and discovering a plastic plate. The key is less about obtaining the most expensive items, and more about utilizing the ones that best match the kind of operation and atmosphere you are trying to create. While there are virtually limitless ways to incorporate these, here are several common configurations for commercial kitchens. There are four categories of dinnerware commonly found in commercial foodservice operations, which are generally organized by their materials. Porcelain and china dishes are made from a finer clay than most other ceramic dinnerware. 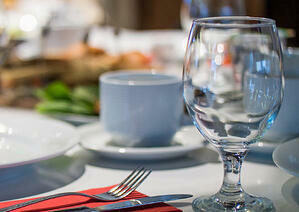 More expensive and elegant than other options, porcelain and china are popular choices for upscale restaurants. Despite their fragile reputation, many varieties of china and porcelain are dishwasher safe. Earthenware and stoneware are ceramic dishes that are fairly inexpensive and are a good fit for price-conscious restaurants looking to create a casual, homey atmosphere. Of the two, stoneware is more durable. Both, however, hold up well to heat and cold and are dishwasher safe. Vitrified glass is made of highly durable glass that is fired at extremely high temperatures. Very resistant to shattering and chipping, it’s a good option for operations that may have a lot of breakage, such as family style restaurants, or any establishment that prioritizes minimizing breakage above other considerations. It may not be as glamorous as porcelain, but for fast-food restaurants or cafeterias that are mostly concerned with speed and durability, it’s hard to beat the variety and cost effectiveness of plastic dinnerware, especially when some can even mimic the look and feel of more expensive materials. As we mentioned above,finding the best flatware for your operation is less about finding the most opulent option and more about selecting the most appropriate for your operation. To make that selection, you’ll need to take into consideration the flatware’s composition and weight. 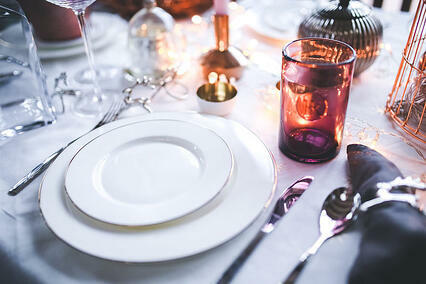 Most commercial flatware is made of varying combinations of two metals: chromium and nickel. This composition can be determined by a set of two numbers, the first representing the former, and the second, the latter. 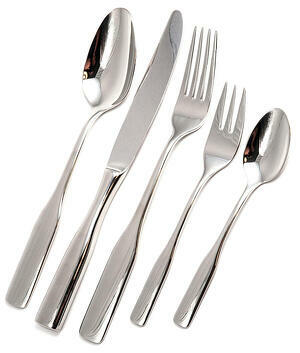 For example, flatware with a composition of 18/10 is 18% chromium and 10% nickel. There are four main breakdowns: 18/10, 18/8, 18/0 and 13/0. Generally, as the composition of chromium decreases, so too does the flatware’s strength. Similarly, as the amount of nickel decreases, so too does the flatware’s resistance to corrosion. Weight is used to determine how durable and resistant to bending a piece of flatware will be. The three common weights for commercial use are: Extreme heavy weight, Heavy weight, Medium weight. As weight goes up, durability—and price—go up as well. The kind of flatware you select for your commercial operation will depend largely on your budget and the atmosphere you are looking to create. Now knowing the meaning of the numbers on your flatware and their weight, you can buy the finest set for your luxury hotel with confidence, and rest easy knowing that your lower-end flatware is just right for your cafeteria. Once you’re confident that you know which kinds of drinkware you will need for your foodservice operation, you’ll want to decide which materials would be best suited for your purposes. Crystal is widely regarded as being the finest material for drinkware, and is the most popular choice for high-end stemware. Varying levels of lead oxides in the glass give crystal greater strength, as well as clarity and shine. Crystal glassware, however, is expensive, and must be washed by hand. 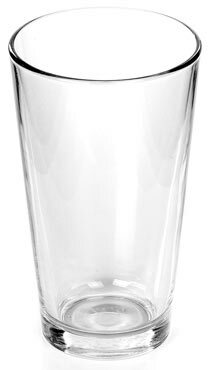 Glass drinkware may not have the strength or shine of crystal, but it presents a welcomed option for restaurants and bars that are on smaller budgets, yet still wish to maintain an atmosphere of sophistication. Ceramic drinkware is able to retain heat better than other options, making it the material of choice for serving coffee, tea, and other hot beverages. Plastic is an excellent option to save your operation money in the long-term, as it is highly durable and unlikely to need frequent replacement. Though it is largely considered the least elegant material, it is a good choice for casual and quick-service foodservice operations. An important note to keep in mind when selecting your FoH supplies is that none of the pieces you choose exist within a vacuum. When your guests visit your establishment, they will experience all of your choices together at once, so it is also important to consider how your choices of supplies will interact with each other on the table, as well as with everything else at your establishment. 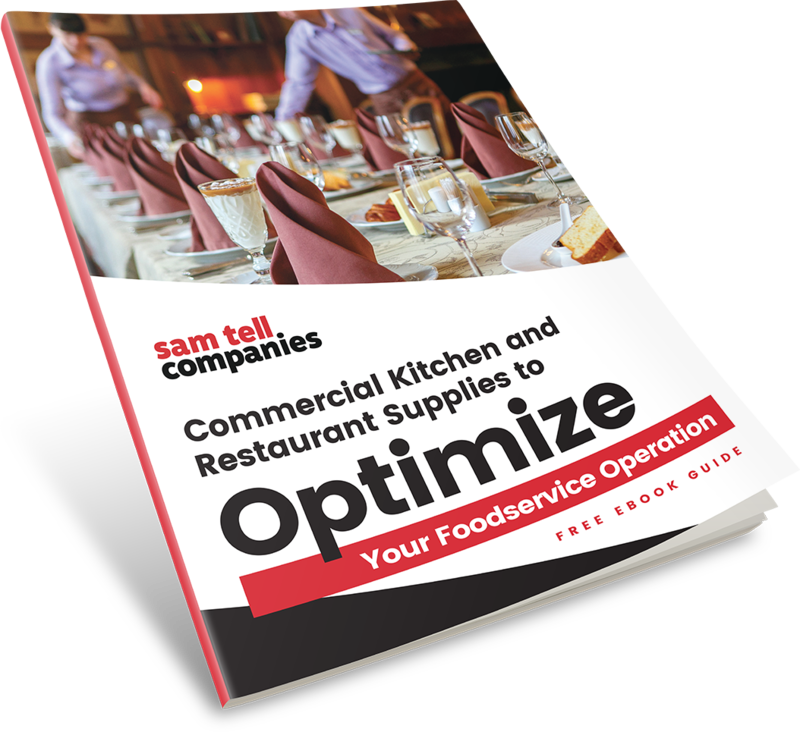 Sam Tell has been turning commercial kitchen design dreams into reality with high-quality restaurant and food services equipment and supplies, and superior installation and design services, since 1956. 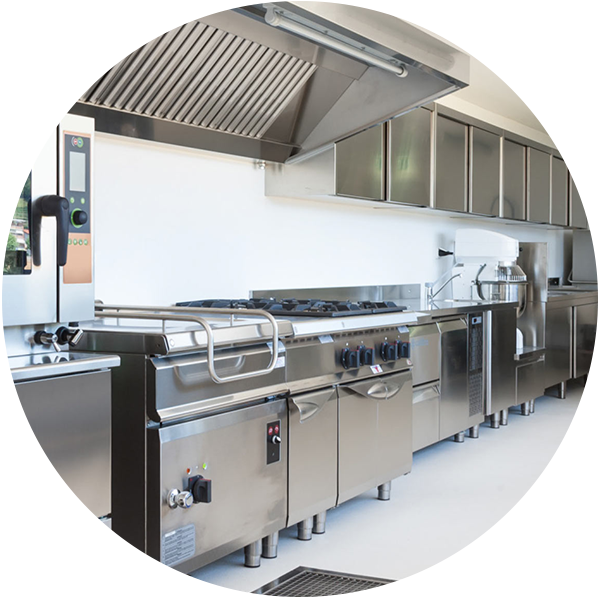 Choosing the right supplies for your commercial kitchen and restaurant can seem like a daunting task, but it is far from impossible. The good news is that you don’t have to do it all on your own. The commercial kitchen and restaurant professionals at Sam Tell are ready to guide you, every step of the way. Learn about all the extraordinary things we can do for you and your kitchen!